Anthony Martial has made a stunning start to the new campaign, however, he wasn’t included in the French international team’s squad for the World Cup qualifiers. The Frenchman has been enjoying his time under Jose Mourinho, and has already bagged 5 goals and as many assists across all competitions for the Red Devils. After his stellar performances, Martial was expected to be seen playing for France and earn a name in Didier Deschamps’ squad. Surprisingly, the talented winger was not called up for his international duties. Amd following constant questions on the subject, the French boss has finally revealed the reason behind his decision to drop the former Monaco man. Deschamps stated: “He’s a player who’s probably better when he starts than when he comes on. A bit like Lacazette. All 24 players want to start. Anthony is much better, he’s decisive. The last game highlights what he can do. He’s getting back to a good level. He’s more used by Mourinho. “He could have been in the squad. It’s a choice. He was there during the Euro, he went through a tough time, which he got over. I can only tell him to continue to make me think about him”. 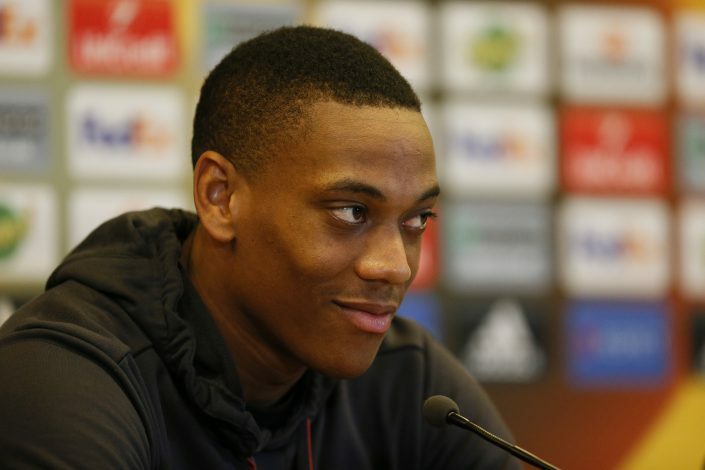 Though Deschamps has hinted at Martial’s future chances in his squad, the news of him being left out may come as a surprise for even him, as he has been at the top of his game lately. Regardless, the 21-year-old has to sit out the international fixtures for now, and hope to continue his current form so that he can finally shine for his country in the future.